Most of us (atleast those who learned computer networking) grew up learning about the 7 layers of OSI ISO model or the simple 4 layer model. The lowest layer is the physical layer. In this layer all machines are assigned an address called the MAC address (Media Access Control Address) . The MAC Addresses come pre-assigned in the hardware and it is assigned by a standard authority so that the MAC addresses does not collide. Most of us thought we cant change it, but yes we can change the MAC address. 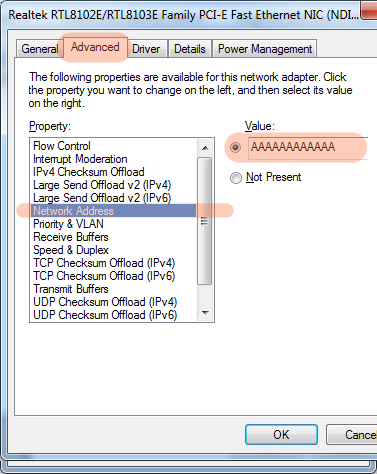 Click on Change adapter settings as highlighted in the screenshot above. 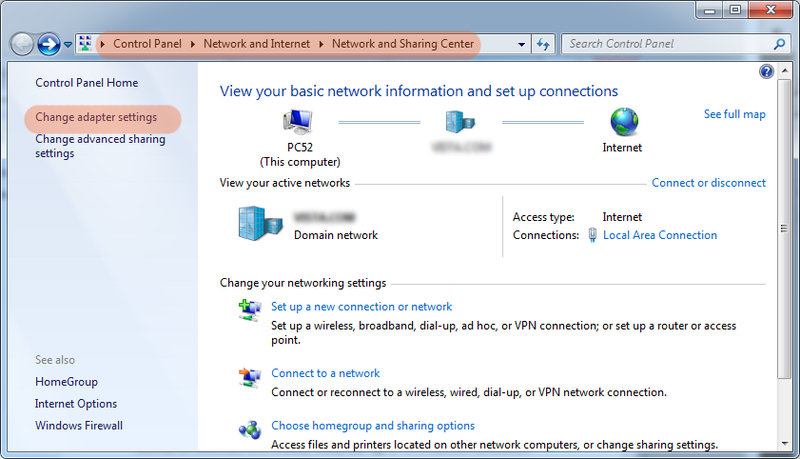 Right click on your network connection (Local Area LAN or Wireless WAN) and click Properties. On the properties window click Configure. 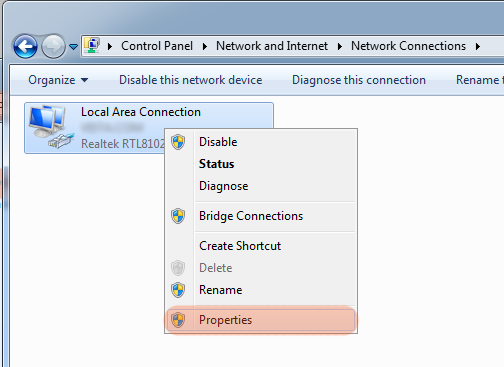 If you cant find this option then your network adapter does not support this property. If you are not able to connect to the internet or other devices revert the changes by clicking on the Not Present Value On advance tab . This can be because your Router is MAC filtered or may be there is a collision with one of the other devices on the network. If your name just contains letters from A-F (very unlikely), you can put your name as MAC Address, or just try to make one as close as to your name. Note: In above registry string, the MAC address is "0015D5A53E1E", so you can change it to only Hexadecimal number. checkout Technitium MAC Changer. Just used the new version on win7 and it works on my laptop. Are you changing Wifi or LAN ? 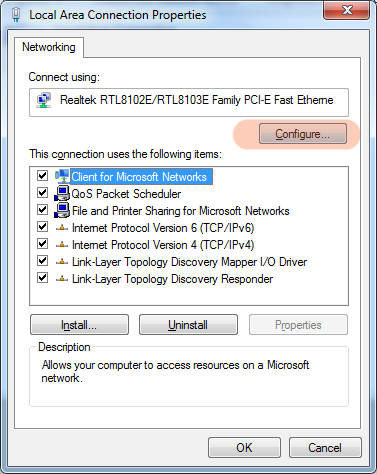 Mac Address can be changed mostly of LAN adapters only, and dependent on the card manufacturer. First, thanks you for the information. You can just right click my computer the click manage. Go to devices and select the adapter then right click and select properties.